The area retains much of its original charm, has over 350 Grade II listed buildings and has been partly designated a conservation area since 1972. 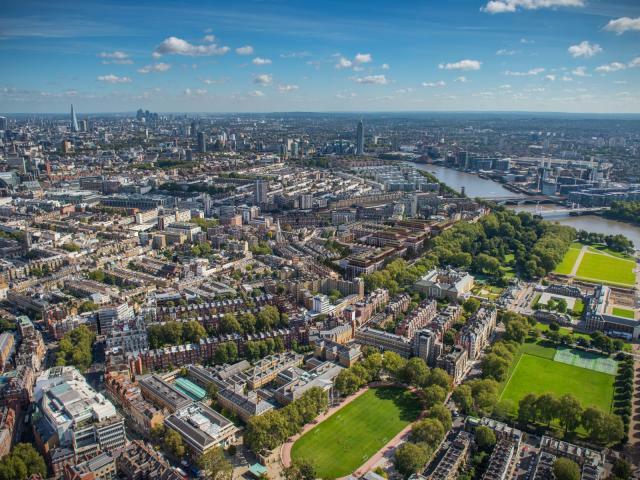 This idyllic blend of neighbourhood feel, green leafy spaces, character and amenity clusters, makes Pimlico a popular choice for those seeking a good value, well located area in central London. The area is separated from Belgravia and bounded to the west by Victoria Railway Station, to the south by the River Thames, and to the east by Vauxhall Bridge Road. The area is largely residential and still retains a small neighbourhood and community feel with small boutique shops, restaurants and other local amenities dotted around in clusters amongst the largely residential locale. The area is also home to many of London’s original regency ‘squares’, providing a green leafy background to the Georgian terraces. The area is separated from Belgravia and bounded to the west by Victoria Railway Station, to the south by the River Thames, and to the east by Vauxhall Bridge Road. It is largely residential and still retains a small neighbourhood and community feel with small boutique shops, restaurants and other local amenities dotted around in clusters. The area is also home to many of London’s original regency ‘squares’, providing a green leafy background to the Georgian terraces.